At Southgate Windows, part of Southgate Plastics Ltd, you can find exquisite composite doors. We offer composite door installations as well as supply-only composite doors. These doors are a perfect blend of refined style and high-functioning performance. What’s more, with our competitive prices, you get amazing value. Our composite doors are brought to you by Solidor, a leading name in high-security and energy efficient doors. We bring you carefully selected doors from their range to give you products that will satisfy both you and your customers. Based in Bridgwater, Somerset, our selection of composite doors is meticulously selected for elegant looks and high performance. 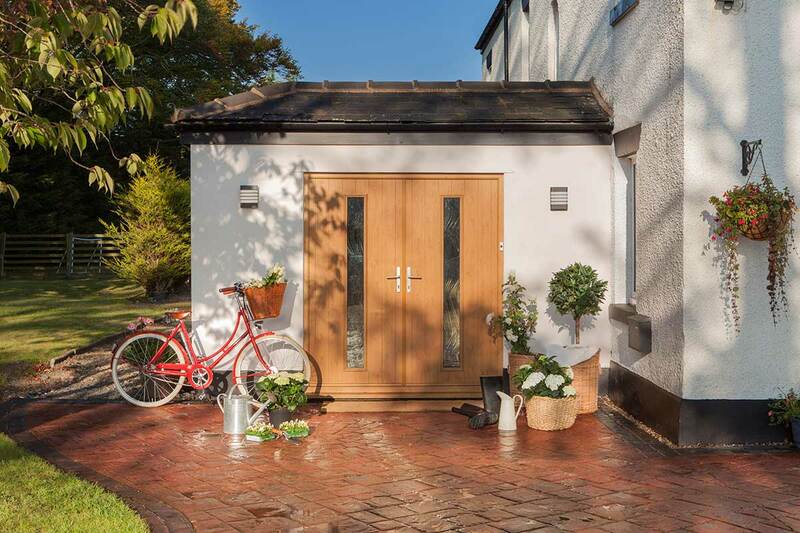 These front doors use a combination of uPVC and timber materials to give you exceptional levels of security, thermal and weather protection, and durability. In fact, here are the features you can expect from them. 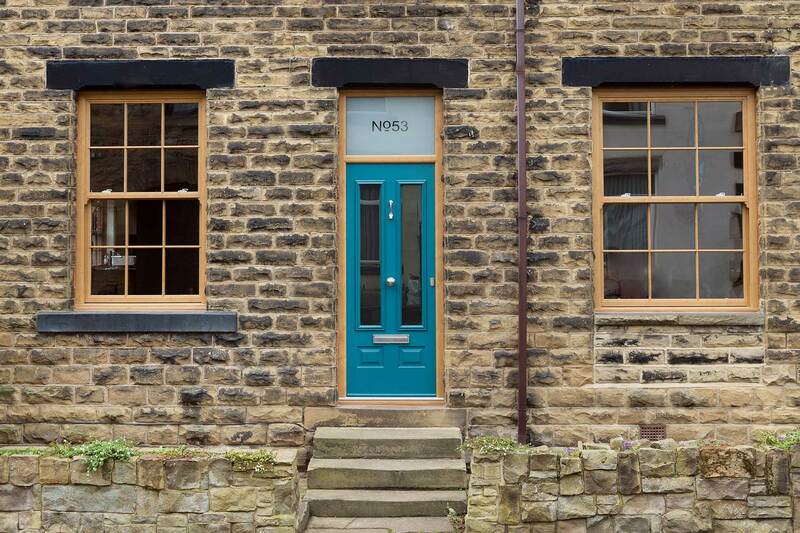 Our gorgeous composite doors from Solidor offer a beautiful selection of 20 colour options, including a unique Rich Aubergine, delicate Duck Egg Blue, and sophisticated French Grey. You can customise your composite doors as dual coloured doors as well. 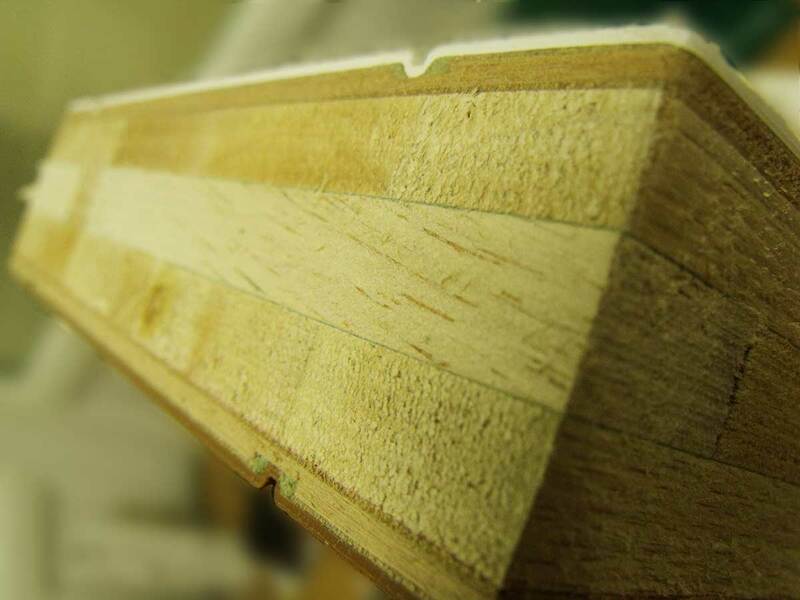 You can also choose the edge banding colours. We offer White as standard and for all dual colour combinations. However, you can also opt for Brown and Caramel for select shades. 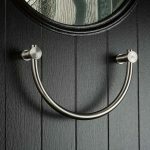 In addition to a flexible design and colour choice, you also have a fabulous door furniture collection to choose from. You have an array of door knockers, handles, letter plates, as well as hinges to decide on. This will help you achieve the exact style that yourself or your customer would like. Solidor Composite doors are made using a combination of materials. They usually feature a solid timber core wrapped up in layers of uPVC for insulation, reinforcement, and a final weather-resistant skin. This also means they are easily maintained. These hard-wearing and durable doors also give an improved thermal performance. In fact, they consistently exceed the expectations of Building Regulations. Our supply-only composite front doors are built to last. These products are designed using different materials, each offering its own sets of strengths. As a result, they offer a better performance than any other material. Additionally, our Solidor composite doors are thicker than other doors for added strength. 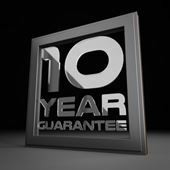 As a result, you are offering your customers a double glazing product that will last them years. When we provide you with Solidor composite doors, we provide more than just your standard composite front door. We also supply composite French doors and composite stable doors. 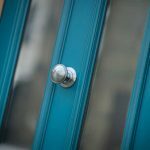 With this, your customers can benefit from secure and durable Solidor doors in a variety of styles. A solid timber core wrapped in insulating layers gives you composite doors that keep the heat in better than pure timber doors. Unique as well as standard colours available, with the option of dual colours and a choice of edge banding colours for certain combinations. A combination of materials, including timber, GRP, uPVC, and others, come together to create composite doors stronger than any other. With Southgate Windows, you get incredibly competitive composite door prices so that both you and your customers are happy. We supply Solidor composite doors that are designed for easy installation so you can offer high-quality doors with reliable installation. Damage-resistant composite doors are fitted with Ultion locks that offer a money-backed guarantee in case of break-ins. 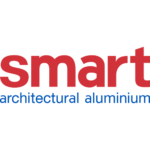 For free suppy only composite doors prices in Somerset, please use our tool below as a guide. This will help you to plan your upcoming project with us. The designs offered may vary, but we provide a full range of Solidor Composite Doors. 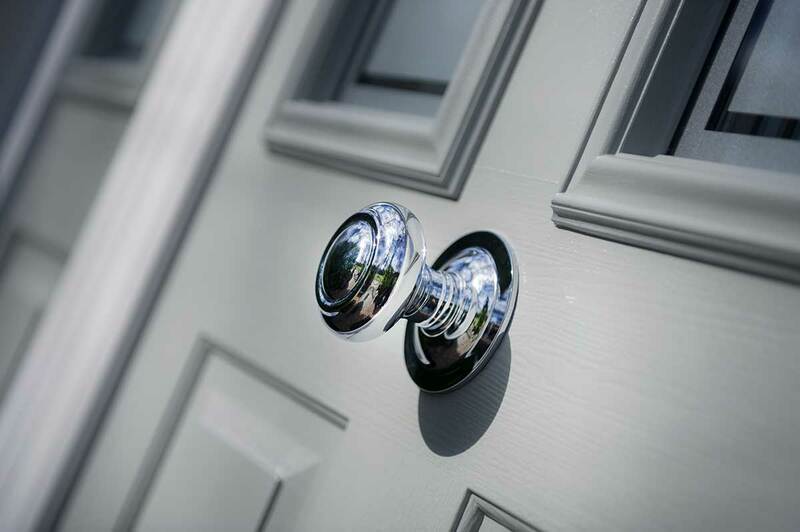 For more information on our Solidor composite front doors, please take a look at the brochure. Our Solidor composite doors aren’t just the best choice for your customer. They also give you some fabulous benefits. First, we offer incredibly attractive composite door prices to our customers. Secondly, we promise you an incredibly quick turnaround time. This means your customers get their composite doors in time, and you can take pride in your double glazing installation. Finally, we give you doors that are manufactured for the perfect home improvement. As a result, you can offer your customers features like thermal efficiency, weather protection, and security. By choosing Southgate Windows as your composite door supplier or installer, you will be receiving high-quality front doors as well as expert advice from a friendly, professional team. Classically beautiful composite doors can replicate the timber look perfectly, giving you doors that look traditional but offering modern performance. With modern engineering and a combination of specialised materials, our modern composite doors from Solidor give you exceptional durability and thermal protection. A comprehensive design selection means that you can get composite doors for any look and architectural styles, both modern as well as heritage. Choose between an ornate sculptured profile for an opulent elegance, or a chamfered rebate to give you a sleek and modern appearance to give your customers the right style. Our weather-resistant composite doors can maintain their appearance all year round with very little maintenance. They will protect your home. Get free and instant quotes for composite doors that are tailored to your needs. Our cost-effective and competitive composite door prices are some of the best in Somerset. 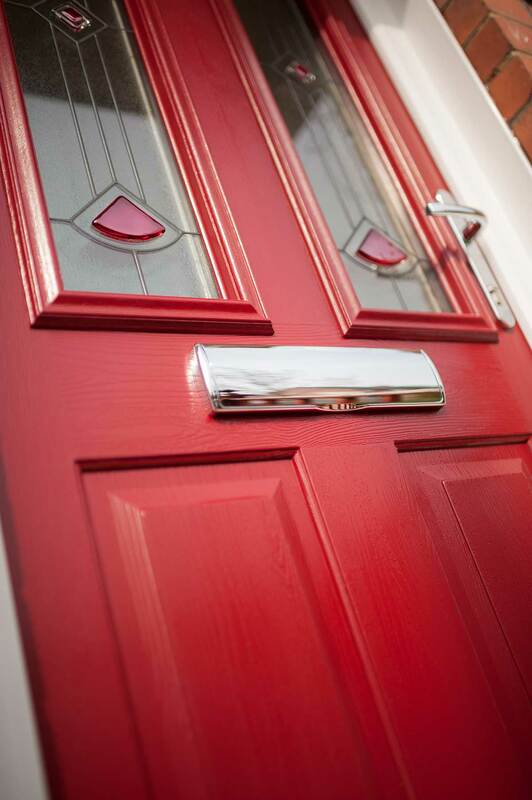 If you want free and no-obligation composite door prices, simply get in touch with us. You can also find your guide price by using our online quoting engine. Just enter your specifications and you will be sent a price so you can begin to plan your next project. Southgate Windows supply Solidor composite doors to trade customers and homeowners throughout Somerset, Devon, Dorset, Wiltshire, Gloucestershire and Hampshire. Including Taunton, Bristol, Glastonbury, Weston Super Mare, Bath, Exeter, and Barnstable. 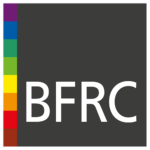 Speak to someone from our team about your needs and we can answer any questions that you may have about our supply only products and prices. 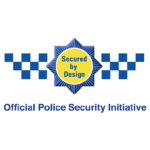 How Secure Are Composite Doors from Solidor?